A set of the Encyclopaedia Britannica on the shelves of the New York Public Library. After 244 years, the Encyclopaedia Britannica is going out of print. Those coolly authoritative, gold-lettered reference books that were once sold door-to-door by a fleet of traveling salesmen and displayed as proud fixtures in American homes will be discontinued, company executives said. In an acknowledgment of the realities of the digital age — and of competition from the Web site Wikipedia — Encyclopaedia Britannica will focus primarily on its online encyclopedias and educational curriculum for schools. The last print version is the 32-volume 2010 edition, which weighs 129 pounds and includes new entries on global warming and the Human Genome Project. In the 1950s, having the Encyclopaedia Britannica on the bookshelf was akin to a station wagon in the garage or a black-and-white Zenith in the den, a possession coveted for its usefulness and as a goalpost for an aspirational middle class. 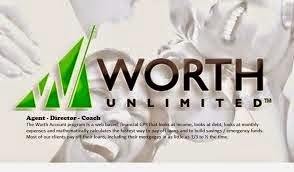 Buying a set was often a financial stretch, and many families had to pay for it in monthly installments. But in recent years, print reference books have been almost completely overtaken by the Internet and its vast spread of resources, including specialized Web sites and the hugely popular — and free — online encyclopedia Wikipedia. Since it was started 11 years ago, Wikipedia has moved a long way toward replacing the authority of experts with the wisdom of the crowds. The site is now written and edited by tens of thousands of contributors around the world, and it has been gradually accepted as a largely accurate and comprehensive source, even by many scholars and academics. Wikipedia also regularly meets the 21st-century mandate of providing instantly updated material. And it has nearly four million articles in English, including some on pop culture topics that would not be considered worthy of a mention in the Encyclopaedia Britannica. Mr. Cauz said that he believed Britannica’s competitive advantage with Wikipedia came from its prestigious sources, its carefully edited entries and the trust that was tied to the brand. The Britannica, the oldest continuously published encyclopedia in the English language, has become a luxury item with a $1,395 price tag. It is frequently bought by embassies, libraries and research institutions, and by well-educated, upscale consumers who felt an attachment to the set of bound volumes. Only 8,000 sets of the 2010 edition have been sold, and the remaining 4,000 have been stored in a warehouse until they are bought. The 2010 edition had more than 4,000 contributors, including Arnold Palmer (who wrote the entry on the Masters tournament) and Panthea Reid, professor emeritus at Louisiana State University and author of the biography “Art and Affection: A Life of Virginia Woolf” (who wrote about Virginia Woolf). 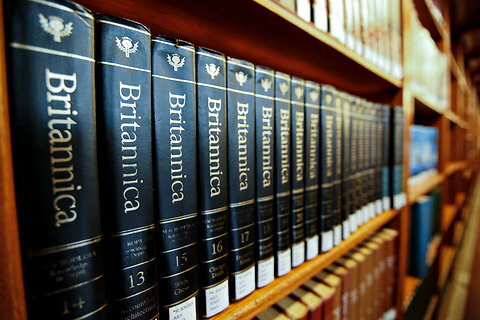 Sales of the Britannica peaked in 1990, when 120,000 sets were sold in the United States. But now print encyclopedias account for less than 1 percent of the Britannica’s revenue. About 85 percent of revenue comes from selling curriculum products in subjects like math, science and the English language; 15 percent comes from subscriptions to the Web site, the company said. About half a million households pay a $70 annual fee for the online subscription, which includes access to the full database of articles, videos, original documents and to the company’s mobile applications. At least one other general-interest encyclopedia in the United States, the World Book, is still printing a 22-volume yearly edition, said Jennifer Parello, a spokeswoman for World Book Inc. She declined to provide sales figures but said the encyclopedia was bought primarily by schools and libraries. Many librarians say that while they have rapidly shifted money and resources to digital materials, print still has a place. Academic libraries tend to keep many sets of specialized encyclopedias on their shelves, like volumes on Judaica, folklore, music or philosophy, or encyclopedias that are written in foreign languages and unavailable online. At the Portland Public Library in Maine, there are still many encyclopedias that the library orders on a regular basis, sometimes every year, said Sonya Durney, a reference librarian. General-interest encyclopedias are often used by students whose teachers require them to occasionally cite print sources, just to practice using print. But many people are discovering that the books have outlived their usefulness. Used editions of encyclopedias are widely available on Craigslist and eBay: more than 1,400 listings for Britannica products were posted on eBay this week. Charles Fuller, a geography professor who lives in the Chicago suburbs, put his 1992 edition on sale on Craigslist last Sunday. For years, he has neglected the print encyclopedias, he said in an interview, and now prefers to use his iPhone to look up facts quickly. He and his wife are downsizing and relocating to California, he said, and the Encyclopaedia Britannica will not be coming with them, a loss he acknowledges with a hint of wistfulness.